Automotive history didn't unfold the way you think it did. These firsts will make you realize how far we've come. They are feats of human engineering; each part of which has to be specially manufactured to an incredible standard in order for the whole machine to run. They can go over 250 miles per hour, can spew smoke on command, and can even be made to have flames shoot out the exhaust. Modern cars are amazing, sure, but have you ever seen some of the car designs from automotive history books? I'm not talking about Porsche 911s, here. I'm talking about older cars—the truly vintage ones. The Model T might be famous for being the car that turned Henry Ford into a rich man (as well as an inspiration for A Brave New World) but there were other cars constructed before this classic automobile. Before Ford, General Motors, and other major modern labels, there were other cars. There was a time when the history of the automobile was very shaky, and very new. 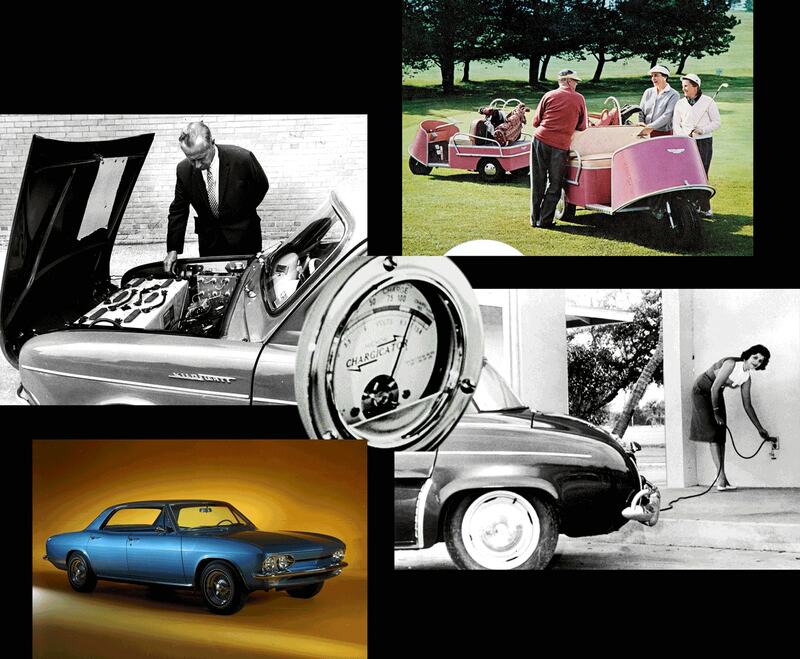 Let's take a look at some of the very first advances that made cars what they are today! The first modern luxury car company eventually evolved into Mercedes-Benz. Carl Benz and Gottlieb Daimler made the first modern car in 1883, and sold them under the name Benz & Cie. Prior to that, they had a fairly car-like gas engine that was up and running since 1879. When Benz was first in business, it was a very small operation. The company had only 25 workers at first, and mostly made money repairing bicycles. After Benz & Cie made money making industrial machines, they decided to try to make a horseless carriage. They made the first official car in 1885, and called it the Benz Patent Motorwagen. This is one of those facts about Mercedez-Benz you probably didn't know; it's not exactly common knowledge. As the company grew and competed with newer groups, they ended up buying multiple brands. The parent company is now Mercedes-Benz, and as you probably already know, they're still around. They are still revered for their luxury over 100 years later. It's a fascinating story, and one that is pivotal to the world of automobiles today. That said, other car companies existed prior to them. Though Mercedes-Benz was definitely the oldest luxury car brand that still burns rubber today, there were other car companies that were established prior to them. Tatra was established in 1850, but stopped making cars in the West ages ago. Tatra was known for making horse-drawn carriages before they crossed into car territory. Opel was founded in 1862, and still serves most of Europe, Africa, and Asia. They were a sewing machine factory prior to entering the automotive game. Studebaker was founded in 1852 as a carriage company, and was one of the first car manufacturers in America. However, they went defunct in the 1960s. The oldest car company to still exist today is Peugeot. This company has been in business since 1810—originally as a coffee mill company, then a bicycle company, then a car company. William Howard Taft was the first president to own a car. It's hard to imagine a time when presidents didn't own cars, but it was a lot more recent than you'd imagine. The first car to find a home in the White House belonged to William Howard Taft, who bought two cars in 1909. Taft's two cars were a Pierce-Arrow Limousine and a White steam-powered touring car. He rode a horse to his inauguration, but regularly appeared in a car afterward. Taft got Congress to give him a total of $12,000 for the purchase. And since we're talking about presidents, Teddy Roosevelt was the first to take an inaugural ride in a car, but he wasn't the first president to ride in a car casually. The tech-savvy William McKinley took that automotive history "first" in 1899. Roosevelt rode in a car in a parade, but was very vocal about his preference for horses over the "horseless carriage." The first speed limit sign maxed out at 12 miles per hour. It may be hard to imagine in a world that now considers 25 miles to be a slow pace, but the world's first speed limit sign topped speeds at a whopping 12 miles per hour. These speed limits were more meant for horses than cars. Even so, people were very slow back then compared to what is possible today. How people reacted to the speeds we are now able to reach was also fairly insane. The first person to get arrested for speeding drove 12 miles an hour in Manhattan, which was quickly blasted by the New York Times for being reckless. Rather than get a ticket, he got jail time. Not a good idea to speed back then! The first speeding ticket happened across the pond in Great Britain, where a man by the name of Walter Arnold went eight miles per hour in a two mile per hour zone. The first "not-true" car was invented centuries before! Back before gas-powered cars, automotive history was all about steam engines. History's annals show that the first horseless carriage was actually invented as far back as the 1770s. The first steam-powered horseless carriage was made by Nicolas-Joseph Cugnot, a French inventor. Steam-powered cars gained popularity throughout the 19th century and were actually the stars of the first automotive races. Popular steam-powered carriages included the London Steam Car, the Stanley Steamer, and well as individually-made cars created by shadetree-inventors. We all know about Henry Ford, but he definitely wasn't the first inventor to try making a car. The first closed-top car was made in 1905. If you had a car or a horseless carriage in the 19th century, you had to have money. It wasn't only the prohibitive price of non-mass-production cars that was an issue; it was keeping them safe from the elements. Up until 1905, there were no cars that had a roof. So, you would have open-air anytime that you wanted to drive. This was obviously an issue in the winter or rain. The first electric car was made in the 1830s. After steam engines, the electric car was first officially invented in 1832 by a man called Robert Anderson. The car was pretty rudimentary and didn't run very long. But, it was the first of many more to come. It would take another 40 years before electric cars would become viable. Electric cars became popular in the 1900s due to their low pollution but were outdone by gas-powered engines in the speed department. 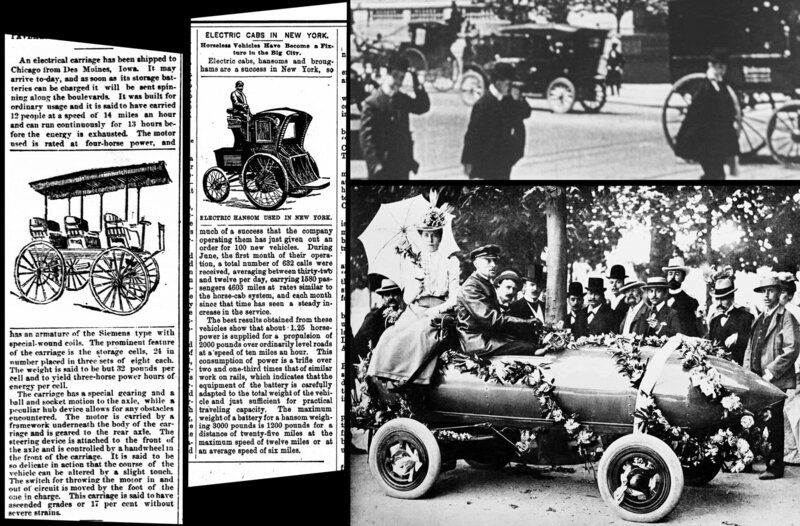 The first hybrid car was made in 1901. If you thought hybrids were a new thing, think again. The first hybrid car in automotive history was made in 1901 by Ferdinand Porsche. It was called the Lohner-Porsche Mixte. Yes, that Porsche. He did a bit more than just sports cars. The first car dealership was in Reading, Pennsylvania. Though the first cars were in Germany and France, America was the first country to make cars accessible to the masses. The first car dealership was in Reading, Pennsylvania. Surprisingly, the first dealership didn't carry a car brand that you'd recognize. The dealership carried Winton cars, which were made in Ohio. The most popular Winton car was the Phaeton, which cost anywhere from $1,800 to $4,500 depending on model and add-ons. In modern dollars, this would mean a single car would cost $54,484 to $136,210. Many of us have bought a car from the dealer before, multiple times for some of us, so it's hard to imagine that car dealerships were uncommon once upon a time. Heck, you'll probably drive past five of them on your way to a Walmart now. The first car recall happened with Ford's Model Ts. The Ford Model T was one of the first mass-produced cars in automotive history, but that doesn't mean that it was a well-built one. Ford stuffed the first Model Ts with Spanish moss to help cut costs. Unfortunately, this led to critters living inside the seats. The first car recall resulted after multiple complaints surfaced about chiggers and other bugs making homes in the seats. Ouch. We don't have Model Ts on the road anymore—but they're not the only type of car that was lost to history. Yet with moss seats, it's probably a good thing we don't have them anymore.